Price listed is for fifty glass beads. 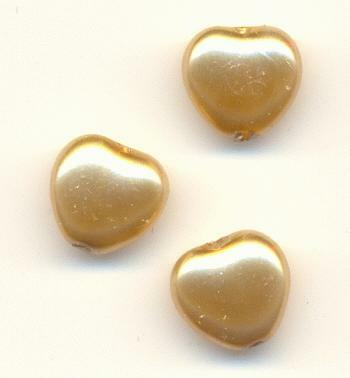 These are heart shaped glass beads that measure approximately 8mm. The color is a gold pearl or champagne. The hole is drilled through the length of the bead. There may be a little extra paint on the ends where the holes are.